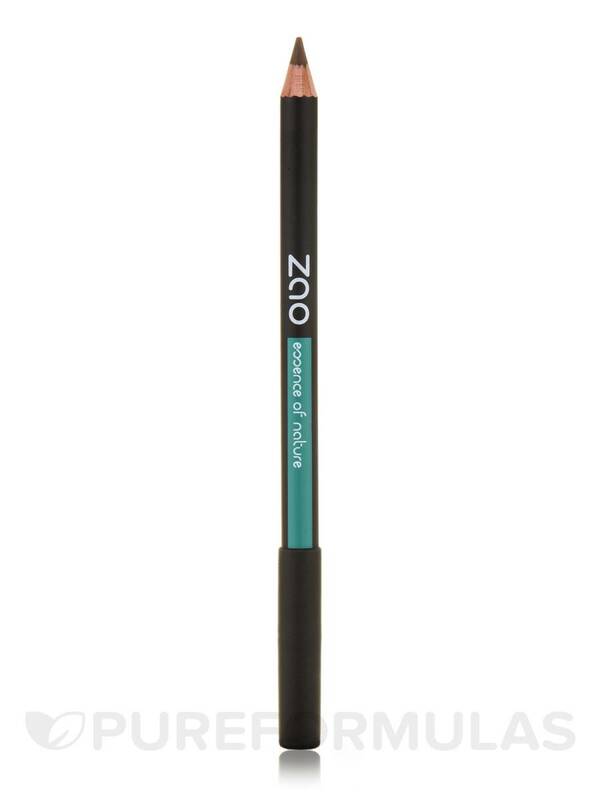 I like to use Pencil Multipurpose 602 (Dark Brown) by ZAO Organic Make-up every day.It's so soft to draw and looks very natural. Designed to intensify and highlight your eyes and contour of your lips. The shea butter extract will moisturizes and soften your eyes/lips‚ leaving them soft and smooth. Specially formulated for sensitive eyes and skin. Suitable for contact lens wearers. Hydrogenated jojoba oil‚ caprylic/capric triglyceride‚ hydrogenated vegetable oil‚ simmondsia chinensis seed oil*‚ butyrospermum parkii butter*‚ canola oil‚ sclerocarya birrea seed oil‚ candelilla cera‚ glyceryl caprylate‚ copernicia cerifera cera‚ tocopherol‚ helianthus annuus seed oil‚ ascorbyl palmitate. May Contain (+/-) mica‚ talc‚ silica‚ CI 77007‚ CI 77891‚ CI 77492‚ CI 77510‚ CI 77499‚ CI 77491‚ CI 777. 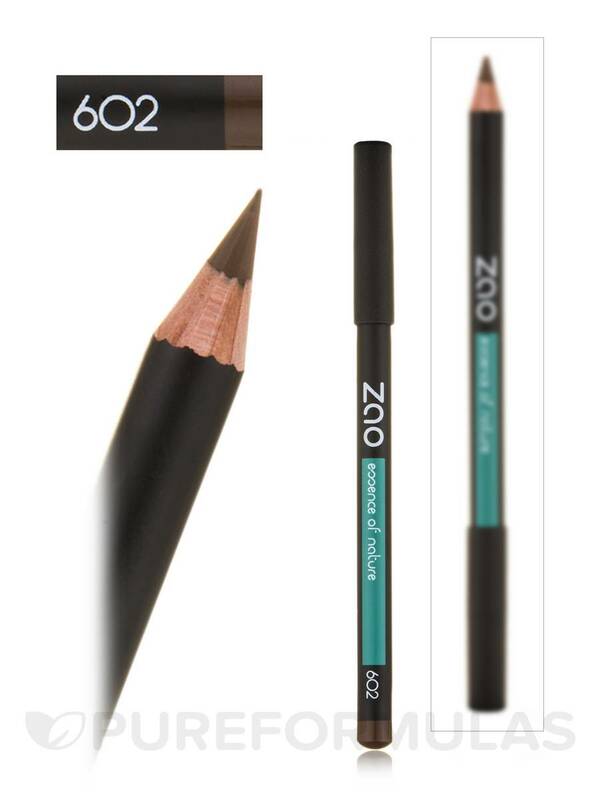 Pencil Multipurpose 602 (Dark Brown) by ZAO Organic Make-up goes on smooth glides easily onto the lash line. The dark brown color is perfect to frame my eyes and fill in my brows. I like the color and smooth application. I dislike the higher price and no confirmation on ewg.org or other safety sites about how clean and safe this item is or is not. It is not dark brown It is light brown.